When the festive season is over and your real Christmas tree has lost its sparkle, please recycle your tree. 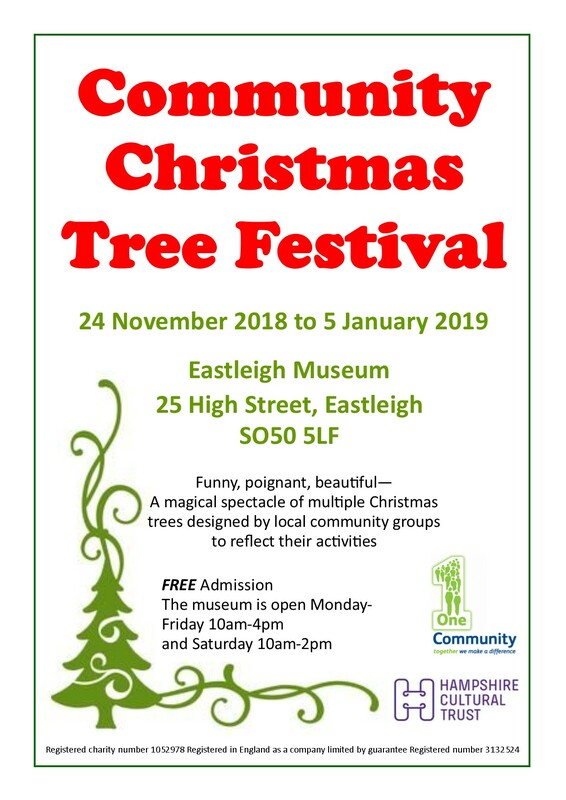 Eastleigh Borough residents can recycle their Christmas trees from Wednesday 2nd January 2019. Recycling collection points for real Christmas trees have been set up around the borough where they can be dropped off between 2-15 January. If you have a tree that is under four-feet tall and are in the Eastleigh Borough Council garden waste scheme, your tree can picked up from your home address on the scheduled collection day. You just need to put it next to the garden waste bin for collection. Christmas trees can be taken to the household waste recycling centres. One tree can be put out for collection with your garden waste on your first collection when the garden waste service resumes after the Christmas period. There is no need to chop the tree up, just leave it beside your garden waste sack. The maximum trunk diameter is 11cm. Recycling Christmas Tree’s is a popular scheme and recycling them makes a really positive impact on our environment. 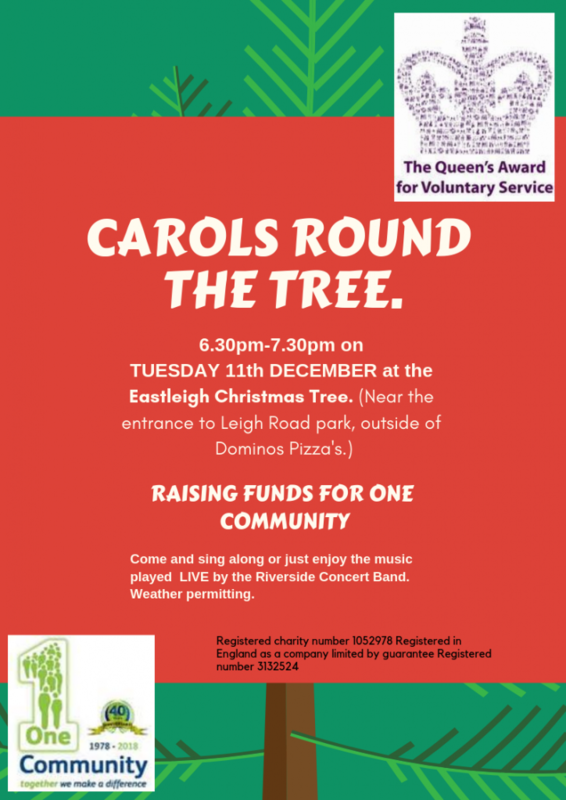 Looking forward to seeing lots of you for our carols round the tree on Tuesday the 11th December. It starts at 6.30 until 7.30. The Riverside Band is a local band who play for all sorts of charities and other events. All money collected on Tuesday goes into our One Community charity cause. If you’d like to sing along or just enjoy some lovely traditional carols you would be very welcome. The Eastleigh Christmas Tree is right outside of Domino’s Pizza, near the Railwayman statue. Here is a link to a map. Community Christmas Tree Festival Opens! 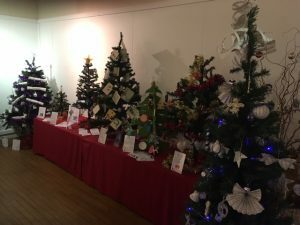 The 2018 Community Christmas Tree Festival has opened at Eastleigh Museum with a gallery packed with beautiful trees, each representing a local voluntary or community group. The Boyatt Wood Partnership tree is literally created from Boyatt Wood – an artistic interpretation in twisted willow. 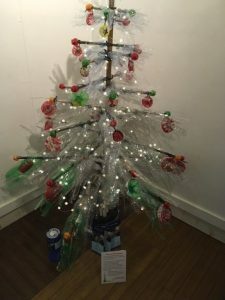 The New Music Makers group from Hedge End has recycled music scores into exquisite decorations, while Headway Southampton’s art group has created a tree from used plastic bottles – incredibly pretty reflecting its Christmas lights. Innovation and imagination abounds with decorations fashioned from lace, knitting and bricks! 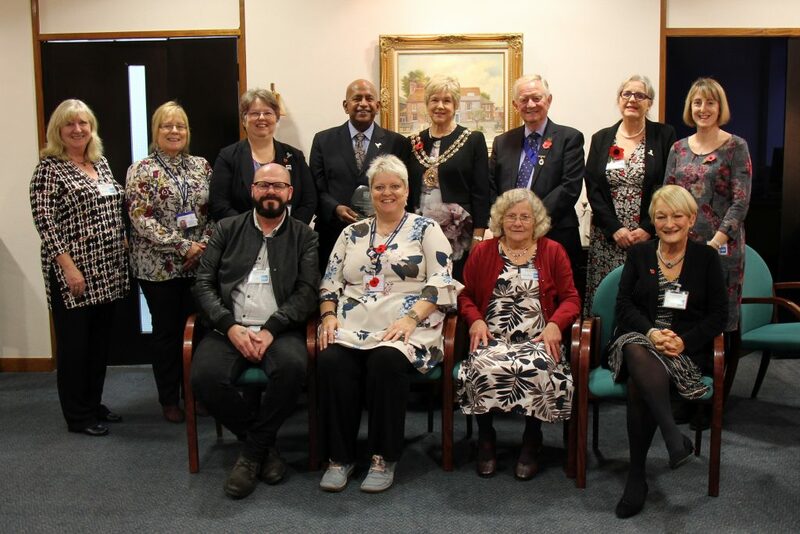 There are some thought provoking messages too, with trees from Wessex Cancer, Eastleigh Rotary’s Dementia Friends Campaign and from members of day centres around the borough. The exhibition runs until Twelfth Night (5 January), and the museum, in Eastleigh’s High Street, is open 10am-4pm Monday to Friday and 10am-2pm Saturday. Please note the museum will be closed for Christmas from 1pm on Saturday 22 December, reopening on Wednesday 2 January. 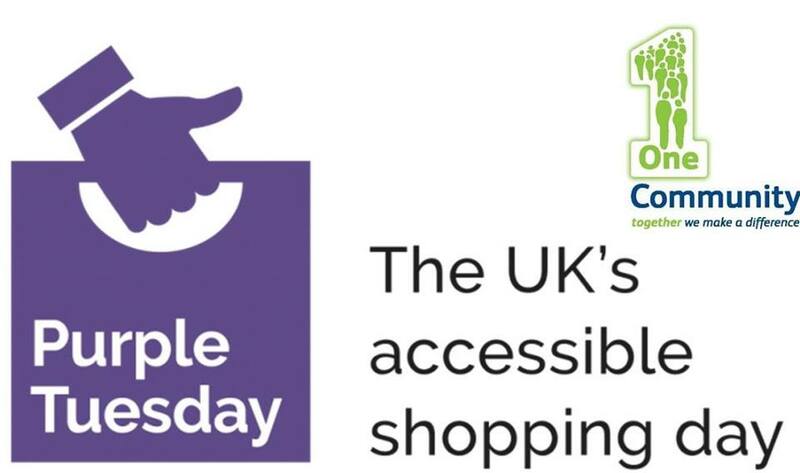 Fareham Shopping Centre, Eastleigh Swan Centre, Eastleigh Museum and Fareham Information Centre will all be supporting Purple Tuesday. Go on wear purple to support invisible and visible disabilities. Lions DONATION for your charity. 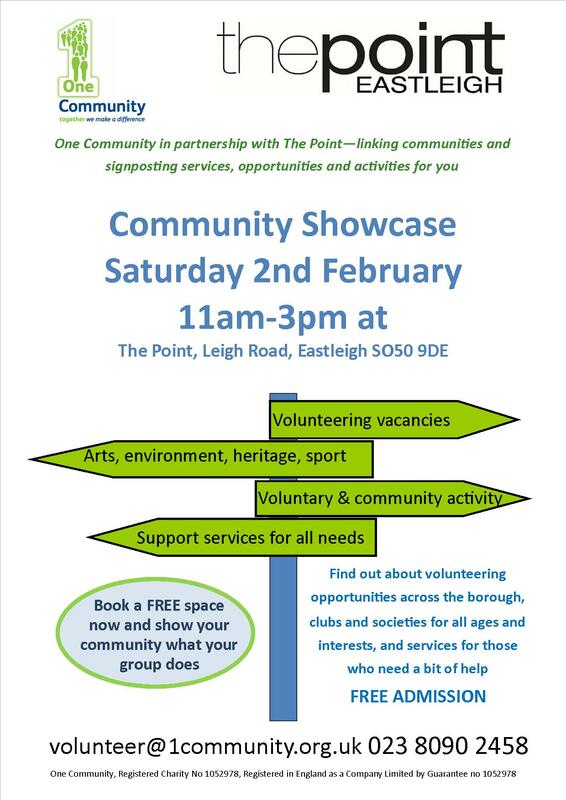 Eastleigh Lions invites local charities in Eastleigh to bid for a donation. Prizes for the successful bids will result in one £350, one £250 and one £150 donation, making a total of £750.00. Bids should be in a statement of no more than 100 words on how they would spend the donation from the charity chest. Club Directors will draw up a short list of three from the entries. The chosen bids will be invited to make a ten minute presentation at the 3 May 2019 monthly meeting. The members at the May meeting, will vote for the first, second and third recipients. The cheque presentations to the winning bids will be made at the winning recipient’s club meeting or as agreed. 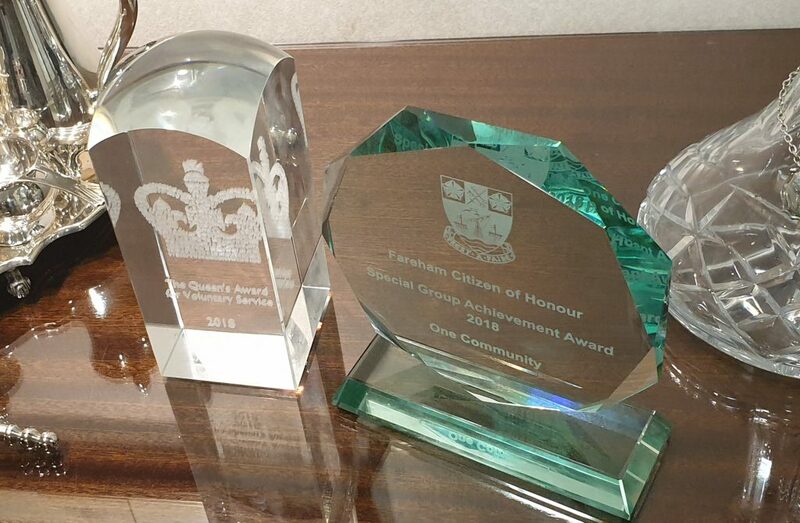 Invitations are open to all charities in Eastleigh and bids are to be submitted to dkandiah@yahoo.co.uk, by 20 February 2019. The chosen three bids will be notified and invited to make a presentation on the evening of 3 May 2019 at The Point, Eastleigh. The festival attracted 1,597 visitors to the museum, so it is a great way of raising awareness of what you do. 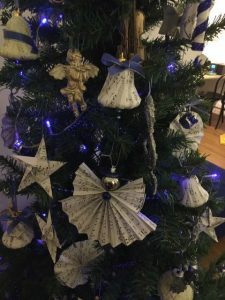 This year the Community Christmas Tree Festival runs from 24 November 2018 to 5 January 2019. Setting up will be on the Thursday and Friday 22 and 23 November, whenever is convenient between 10am and 4pm. Participation in the event is completely free.